I'd like to think I'm the queen of casual. I don't tend to dress up for much if I'm honest. If can get away with jeans and a jacket or a jumpsuit, I'll do it. BUT even though I like to do casual, I don't like to fade into the background. So I'll always try and make my outfit a little different. Whether that's a dash of colour, a big earring, or even one of my myriad of hair colours. Today was all about that little splash of colour courtesy of a sale bargain I picked up from Simply Be. 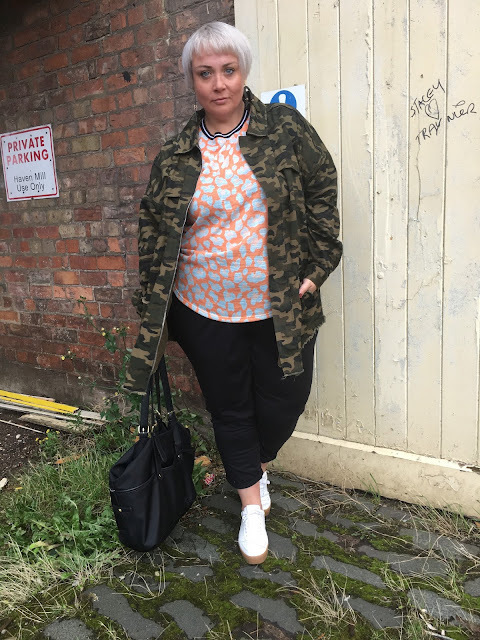 This Orange Leopard Print Top is a complete beaut. I sized up to a 24 though and I'm glad I did, it's just right. 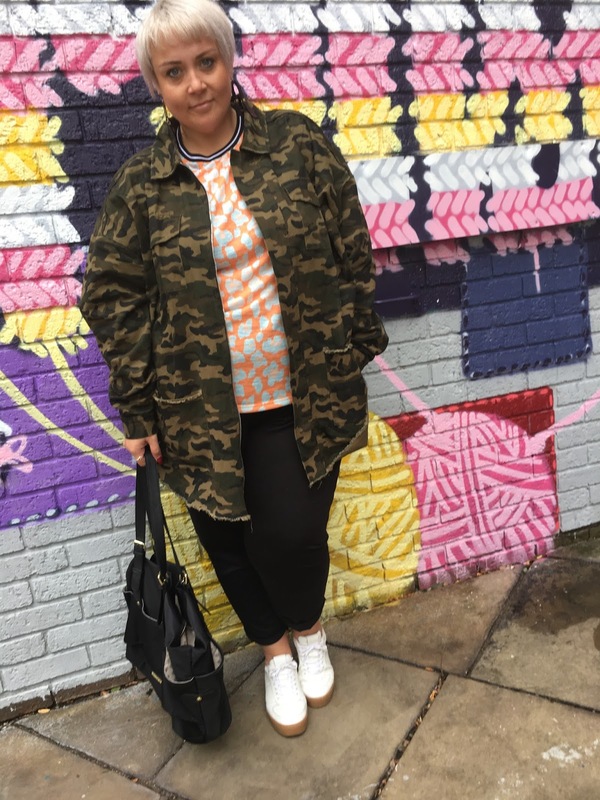 I teamed it with my fave and over-worn jersey peg legs from ASOS, white trainers from H&M and this gorgeous oversized camo jacket I picked up at the weekend from In the Style Curve at Curve Fashion Festival. 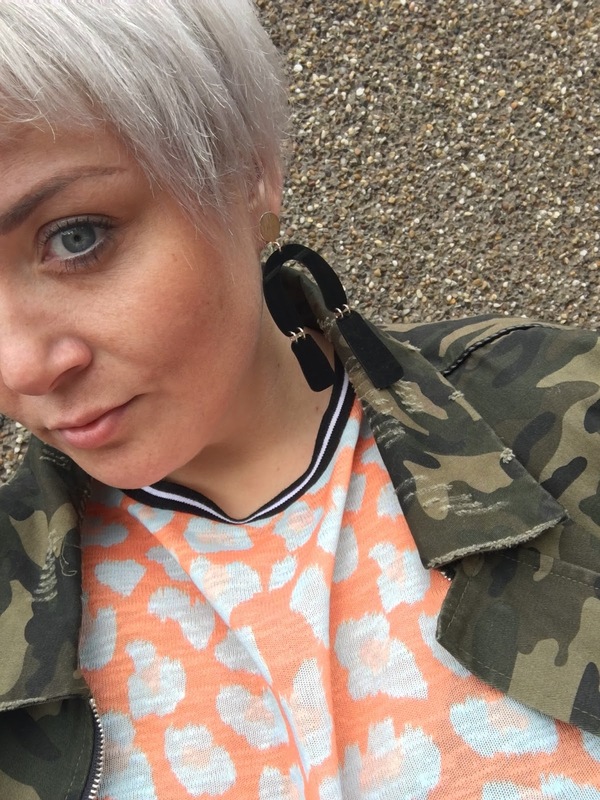 The cute earrings are from Monki, I've been living in them since I got them. My love for massive earrings doesn't seem to be waning yet so long live my Pat Butcher aesthetic. 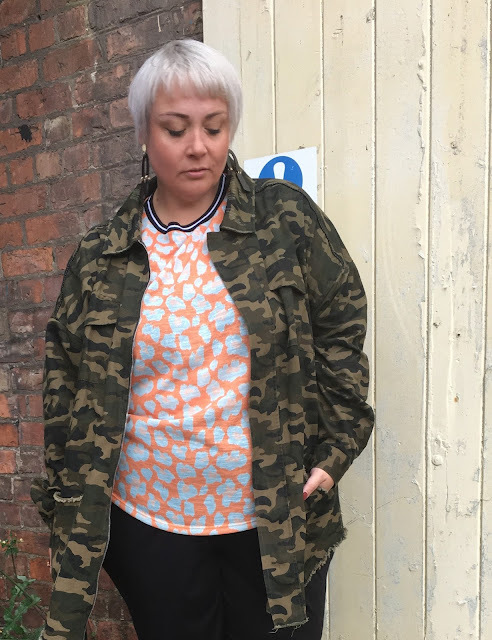 Now I don't suppose I'm your average mum on the school run, and I do suppose there'll be a point when Pops gets fed up of her brightly coloured, silly haired mum. But tough, she's going to have to put up with it, because I don't plan on changing!